Sources said, "Prime Minister Modi sends a customary message on National Days to other Heads of State or Government." Taking to Twitter, Khan, Pakistan Tehreek-e-Insaf chief, said he received a message from PM Modi. “I extend my greetings and best wishes to the people of Pakistan on the National Day of Pakistan. It is time that the people of the sub-continent work together for a democratic, peaceful, progressive and prosperous region, in an atmosphere free of terror and violence,” the message reportedly said. 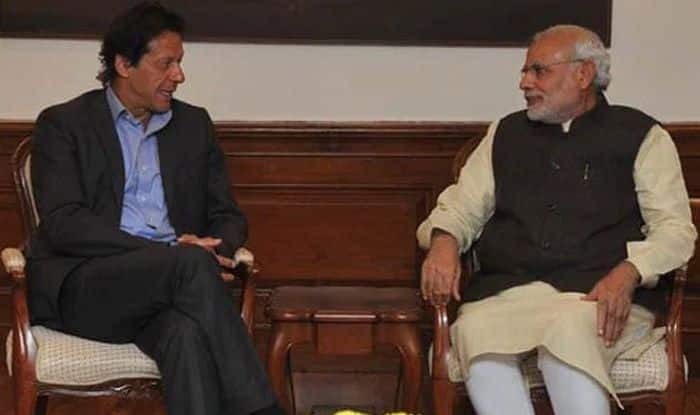 PM Modi’s message to Khan comes amid heightened tension between the two countries since the February 14 Pulwama terror attack on a CRPF convoy. Forty jawans were killed in the attack for which Pakistan-based Jaish-e-Mohammad claimed responsibility. India followed it up with Balakot airstrikes to which Pakistan retaliated the next day by unsuccessfully attempting to target military installations here. During the day, Ministry of External Affairs spokesperson Raveesh Kumar had confirmed India was boycotting the celebrations over invites being extended to separatists. “In February, we were very clear that any attempt by Pakistan High Commission or Pakistani leadership to engage with Hurriyat leaders will not be taken lightly,” he added. The External Affairs Ministry said no Indian representative will attend similar events in Islamabad as well. However, Pakistani officials said no prominent Hurriyat Conference leader attended the reception in New Delhi where the celebrations were held a day prior to the actual event in Islamabad on March 23. Reports said that Delhi Police had detained Kashmiri activist Mohammed Ahsan Untoo when he was about to enter Pakistan High Commission. Untoo, who runs International Forum of Justice and Human Rights, was among the invitees from Jammu and Kashmir. On Friday, Pakistan High Commissioner to India Sohail Mahmood said that diplomacy and dialogue are indispensable to resolving the long-standing disputes, including Jammu and Kashmir, between the two countries.